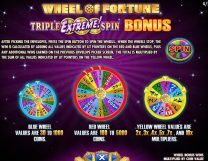 Wheel of Fortune: Triple Extreme! 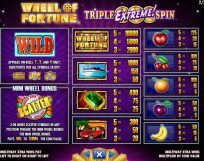 Wheel of Fortune Triple Extreme slot is an IGT edition based on the hugely popular game show in the USA and is equally popular among gamblers. 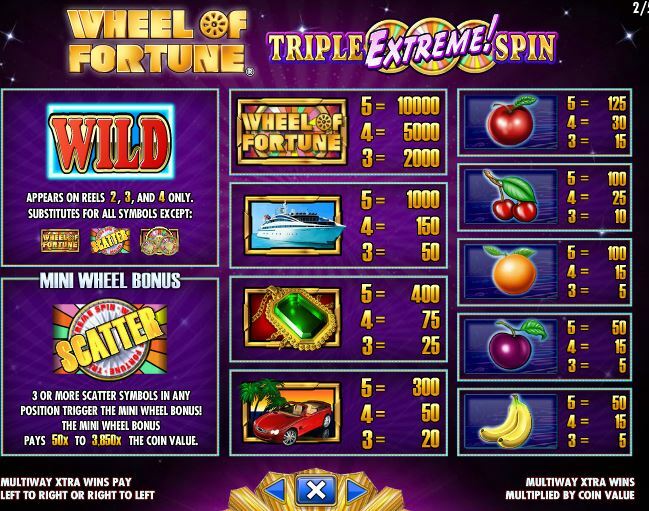 Unlike IGT’s other 720-way slots like Pacific Paradise you only need 3 scatters anywhere to trigger the Wheel of Fortune bonus, but as usual Wilds only appear on the centre 3 reels. 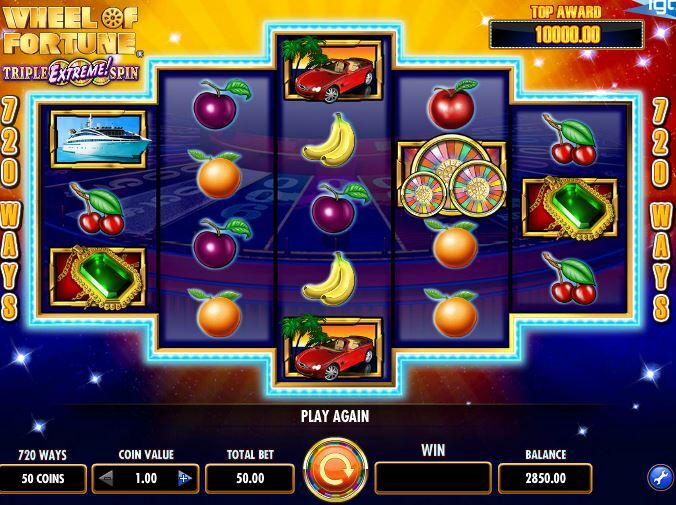 So, you pick one envelope for each scatter and they contain pointers or cash. 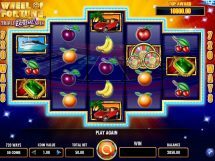 You really want pointers, as there are 3 wheels Red, Blue and Yellow – the blue has poor cash amounts, the Red has bigger ones and the yellow multipliers for your cumulative win up to 10x. 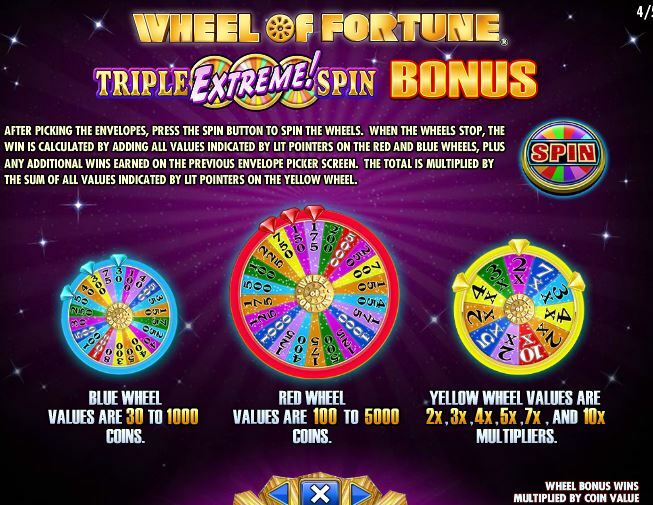 Ideally 2 red and a yellow or vice-versa would make this a wheel you’d never forget! 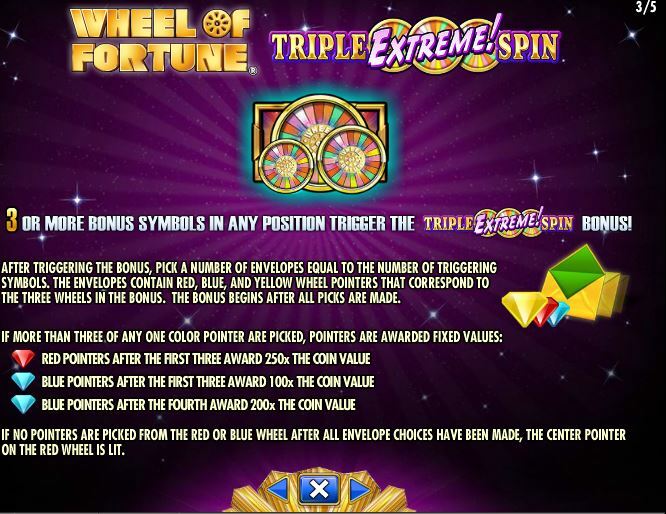 92.0-96.08% is the RTP of Wheel of Fortune Triple Extreme slot. 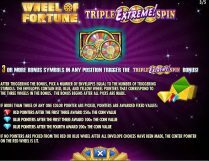 Where to play Wheel of Fortune: Triple Extreme!